Old Maps of Glamorgan, Cardiff, Swansea. We have a range of detailed maps for towns and villages in Glamorgan and we also cover the whole county at the Inch to the Mile scale. Here are the details. Glamorgan 11.05 Hirwaun & Tower Colliery 1897-1903 - published 2009; intro by Derrick Pratt. Glamorgan 11.11 Aberdare (North) 1914 - published 2010; intro by Derrick Pratt. Glamorgan 11.15 Aberdare 1914 - published 2010; intro by Derrick Pratt. Glamorgan 11.16 Aberdare (East) & Cwmbach 1914 - published 2010; intro by Derrick Pratt. Glamorgan 12.01 Merthyr Tydfil (North) 1898 - published 2009; intro by Derrick Pratt. Glamorgan 12.05 Merthyr Tydfil (South) 1898 - published 2012; intro by Derrick Pratt. Glamorgan 18.14 Pentre, Ton & Ystrad-Rhondda 1898 - published 2009; intro by Derrick Pratt. Glamorgan 27.02 Gelli 1914 - published 2008; intro by Derrick Pratt. Glamorgan 27.03 Llwynypia 1915 - published 2008; intro by Derrick Pratt. Glamorgan 27.07 Tonypandy & Trealaw 1915 - published 2009; intro by Derrick Pratt. Glamorgan 27.12 Porth & Cymmer 1914 - published 2008; intro by Derrick Pratt. Glamorgan 28.10 Pontypridd (North) 1915 - published 2010; intro by Derrick Pratt. Glamorgan 28.14 Pontypridd (South) 1915 - published 2010; intro by Derrick Pratt. Glamorgan 28.15 Treforest 1943 - published 2010; intro by Derrick Pratt. Glamorgan 36.08 Nantgarw 1915 - published 2011; intro by Derrick Pratt. Glamorgan 36.12 Taff's Well 1875 - published 2009; intro by Derrick Pratt. Glamorgan 37.01 Caerphilly (West) 1937 - published 2009; intro by Derrick Pratt. Glamorgan 37.02 Caerphilly (North) 1915 - published 2008; intro by Derrick Pratt. Glamorgan 37.06 Caerphilly (South) 1915 - published 2009; intro by Derrick Pratt. Glamorgan 40.07 Bridgend 1897 - published 2011; intro by Derrick Pratt. Glamorgan 43.01 Radyr & Coryton 1915 - published 2010; intro by Derrick Pratt. Glamorgan 43.05 Llandaff North & Old Radyr 1915 - published 2011; intro by Derrick Pratt. Glamorgan 43.10 Llandaff 1915 - published 2008; intro by Derrick Pratt. 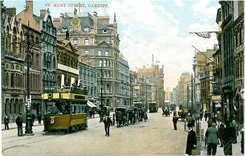 Glamorgan 43.11 Cardiff (North) 1915 - published 2007; intro by Brian Lee. Glamorgan 43.12 Cardiff (Pengam & Roath) 1916 - published 2010; intro by Derrick Pratt. 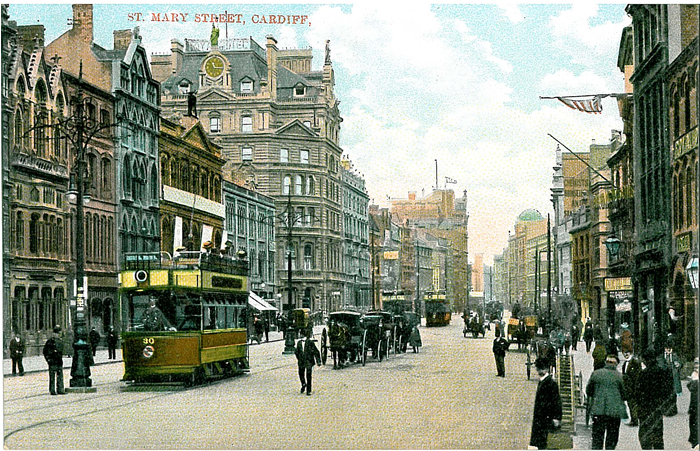 Glamorgan 43.15a Central Cardiff 1899 - published 2012; intro by Alan Godfrey. Glamorgan 43.15b Central Cardiff 1916 - published 2011; intro by Derrick Pratt. Glamorgan 47.03 Cardiff (South) - Grangetown & Butetown 1915 - published 2009; intro by Derrick Pratt. Glamorgan 47.07 Penarth Dock 1915 - published 2009; intro by Derrick Pratt. Glamorgan 47.11 Penarth Town 1915 - published 2008; intro by Derrick Pratt. Glamorgan 49.02 Llantwit Major 1914 - published 2007; intro by Derrick Pratt. 230 Ammanford & District 1908 - published 2006; intro by Derrick Pratt. 231 Merthyr & District 1908 - published 2006; intro by Derrick Pratt. Includes Aberdare and Merthyr Tydfil. 232 NW Monmouthshire 1914 - published 2006; intro by Derrick Pratt. 247 Swansea Bay 1904 - published 2004; intro by Louise Miskell. Includes a map of Penclawdd. 248 Rhondda Valley 1904-14 - published 2007; intro by Derrick Pratt. 249 Newport, Caerphilly & District 1894 - published 2003; intro by Martin Culliford. Includes a map of Llanvihangel. 262 Vale of Glamorgan 1904 - published 2006; intro by Derrick Pratt. 263 Cardiff & District 1890 - published 1999; intro by John Davies. Includes a map of Llanishen. For a full list and index maps follow this link.